After transferring photos from your digital camera to the computer you will end up with a lot of portrait photos displayed as landscape. 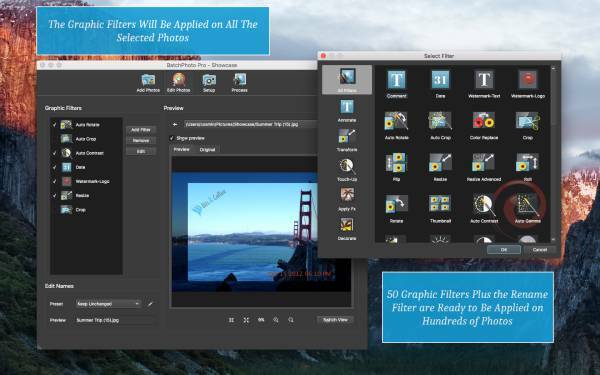 Manually rotating each photo is a tedious and unnecessary task since this operation can be performed automatically. Most digital cameras come equipped with orientation sensors that record in the metadata section of each image (the EXIF record) the camera orientation (portrait or landscape) when taking the picture. 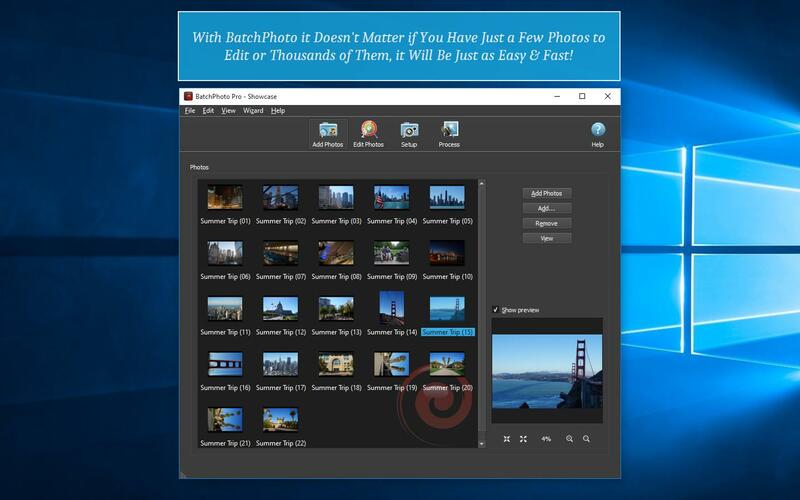 This information can be later used by BatchPhoto to automatically straighten the photos all at once, so you don't have to rotate each picture individually! 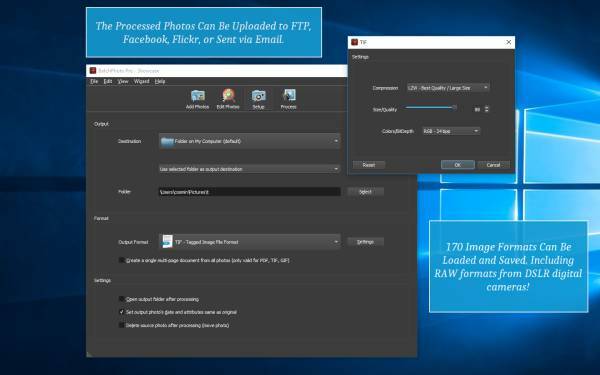 Read and convert to 170+ image formats, including: JPEG, TIFF, PNG, PDF, GIF, BMP, TGA, PSD, JP2, and more. 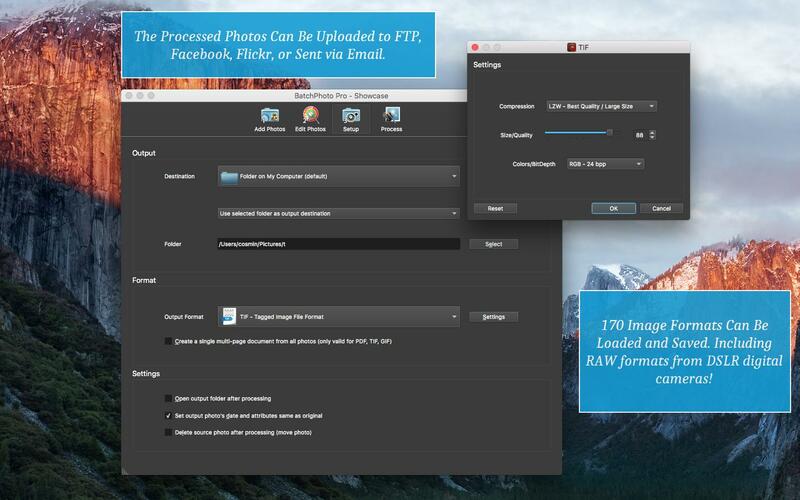 Read RAW image formats from almost all DSLR digital cameras (including: Canon, Sony, Nikon, Olympus, Fuji, Kodak, Pentax). 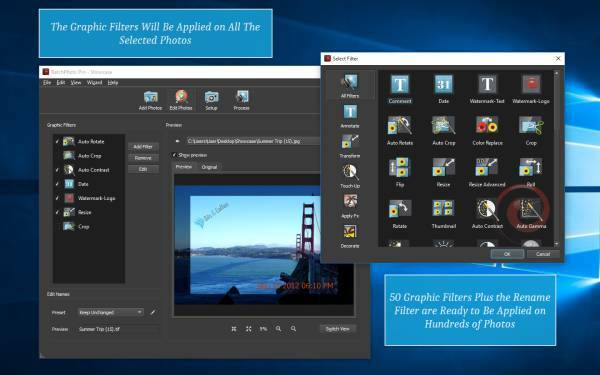 Directly upload to FTP, or to social networks like Facebook, and Picasa. 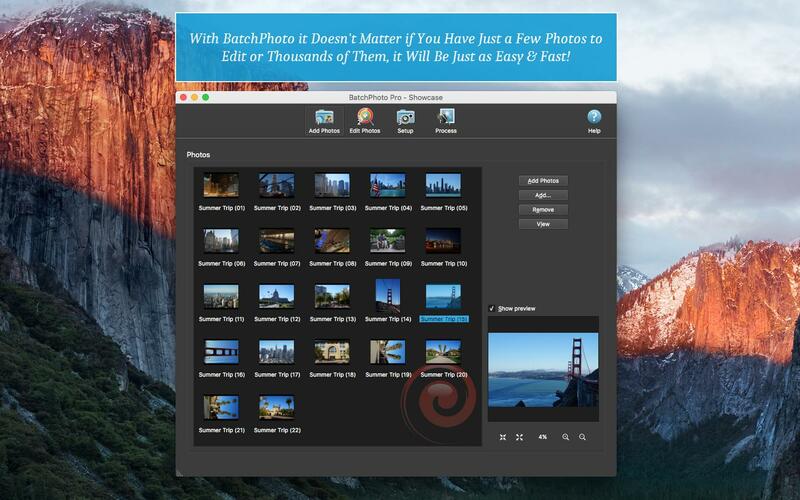 Why waste time manually rotating your photos? Install the free trial of BatchPhoto and see for yourself how much time you can save by rotating pictures in bulk!